Nawaz Const. Co. is an IBR approved company and has done quite a handful of IBR jobs at various locations with different clients. 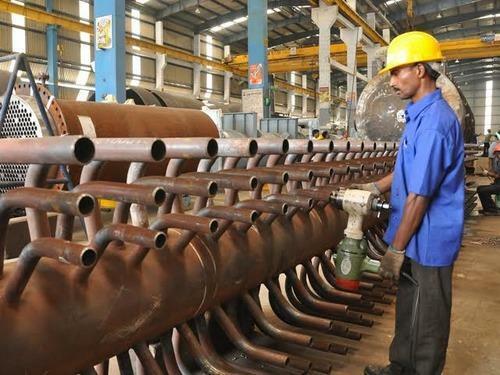 We has been evaluated & granted recognition under Regulation - 392 of IBR -1950 as Categry "Class-I" Boiler Erector / Repairer & (WP>40KG/Sq.cm =< 125 KG/Sq.cm) Steam/Feed pipe line Fabricator and Erector etc. We provides complete solutions for Boilers, Steam Lines, High Pressure Lines - Design, Drawing, Fabrication and Erection and compliance management for activities related to IBR Act. We provide all types of Mechanical & Civil works like all kind of Piping (IBR, Non-IBR, SS, LTCS, GI, Alloy etc. )fabrication & erection Jobs, Erection and Alignment of Equipments, Structure Steel Fabrication & Erection, Excavation and back filling of trenches for under ground piping. Application of Wrapping & Coating, Sand blasting & Painting, Civil Works etc.